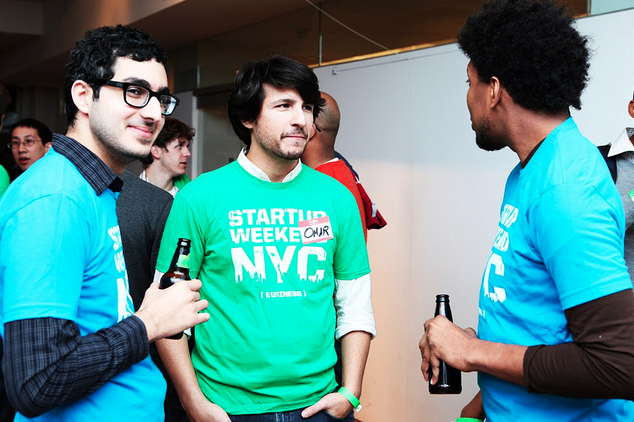 Do you love collecting startup shirts? Are you itching to sport gear from your favorite companies, all while showing off exclusive merch in front of your friends? In the same spirit as the trendy subscription service startups we wrote about a few months ago, Startup Threads Monthly has just arrived. When you subscribe, the service gathers up a whole mess of merchandise and sends it right to your door. More specifically, you can expect a monthly shipment of things like t-shirts, stickers and other surprises. Startup Threads Monthly has already partnered with some major startups, like Hipmunk, Reddit, Boxee and Twilio, and only costs about $20 a month (14.95 + $5 shipping). I started the site since I love collecting startup shirts, and generally wear a new one every day. I thought it would be cool to get new shirts and other swag consistently and figured that others would also be interested. I found out that there were a few services similar to it that were around a few years ago, the main one being Startup Schwag, which is no longer running. I talked to the founder, Roddy, and he actually helped me connect to the same printer and the domain for Startup Threads so that I could get something similar running again. The subscription service is run by Startup Threads, which creates custom merchandise printing and design for startups. The company hopes to make the new service a tool for startups to get their merchandise in the hands of passionate fans around the world. If you’re not already sold, know that everything you’ll receive is custom designed and limited run, which gives the subscription an exclusivity that past ones never had. Sporting clothes from your favorite companies is a great way to be a part of the tech community, while helping young startups grow. So, if you’re interested, you can sign up today via the link below. If not, that’s fine too, but don’t come crying to us when your friends get an awesome Hipmunk shirt in the mail ; ).